The Gallery's collection of works from Europe, Africa and North and South America includes early European paintings and works on paper, with an emphasis on the Northern Renaissance; British art from the late-18th to late-19th century, including Victorian and Edwardian painting; and modern European and American painting, sculpture, photography and prints from the late 19th century to the second half of the twentieth century. The contemporary international art collection reflects the increasingly fluid and porous nature of the contemporary art world. In tandem with the Australian and Asian collections, it facilitates collection displays that trace lines of influence and dialogue across different cultures and historical periods. 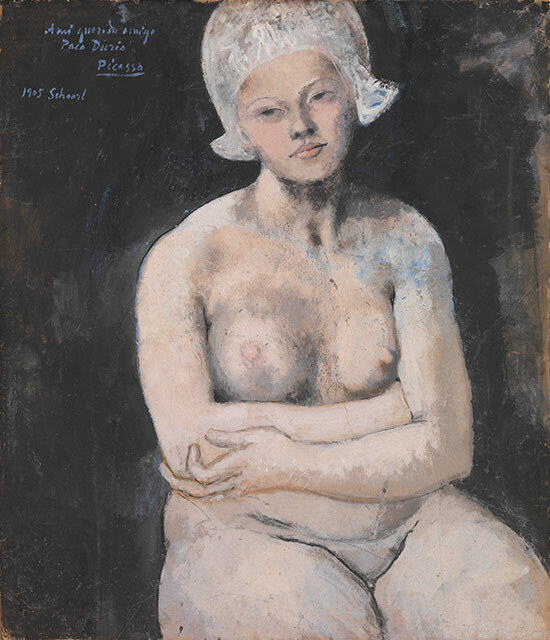 Pablo Picasso, Spain 1881–1973 / La Belle Hollandaise 1905 / Gouache, oil and chalk on cardboard laid down on wood / Purchased 1959 with funds donated by Major Harold de Vahl Rubin / Collection: Queensland Art Gallery / © Pablo Picasso/Succession Picasso. Licensed by Viscopy, 2013. 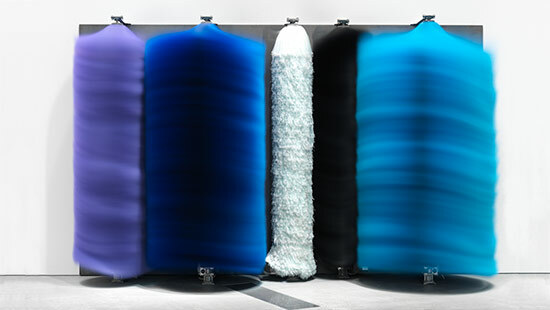 Lara Favaretto, Italy b.1973 / Gummo IV 2012 / Iron, car wash brushes and electrical motors / Purchased 2012 with funds from Tim Fairfax, AM, through the Queensland Art Gallery Foundation / Collection: Queensland Art Gallery / © The artist. 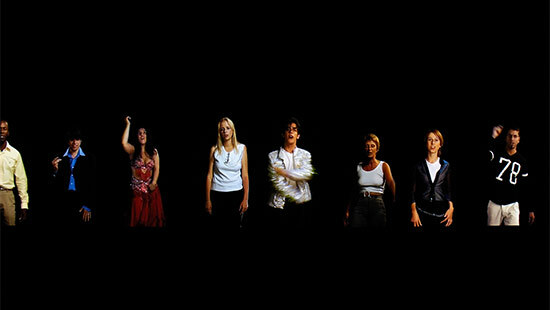 Candice Breitz, South Africa b.1972 / King (a portrait of Michael Jackson) 2005 / 16-channel video installation: 42:20 minutes, colour, sound / Purchased 2008 with funds from Tim Fairfax, AM, through the QAGOMA Foundation / Collection: Queensland Art Gallery / © The artist. The Gallery's historical international art collection focuses on Western European and North American work spanning approximately five centuries, from the early Renaissance to the second half of the twentieth century. European painting, sculpture, prints and drawings constitute the majority of the over 2000 works in this area, and approximately half the works are British. The initial donations and bequests were made in the late nineteenth century and the Gallery's first purchase, British artist Blandford Fletcher's Evicted 1887 in 1896, remains one of its most popular paintings. The collection of international work made post-1975 includes some of the QAGOMA Collection's signature works, with strong holdings of international sculpture post-1990. 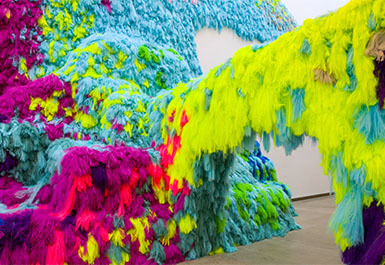 Many of these works seek to question and redefine the discipline by using unconventional materials or investigating the overlaps between sculpture and other disciplines such as video, performance and painting. Film, video and photography have constituted areas of focus in the development of the International Art Post-1975 Collection. The largest single area of the collection is a group of over 200 prints and multiples from the Fluxus movement, an important influence for many contemporary artists. The European collection was established with a bequest of 17th century Dutch paintings to the state of Queensland in 1892 by pastoralist and legislative councillor Thomas Lodge Murray-Prior. It has expanded to include still lifes, landscapes and religious images by Alexander Coosemans, Jan Breughel the Younger, Cornelis de Briers and after David Teniers the Younger. Since 1979, the Queensland Art Gallery Foundation has enabled the purchase of Old Master works such as the panel painting by the Master of Frankfurt, Virgin and Child with Saint James the Pilgrim, Saint Catherine and the Donor with Saint Peter c.1496, Tintoretto's Cristo risorgente (The risen Christ) c.1555, Young woman in a fur wrap (after Titian) c.1629–30 by Peter Paul Rubens and Anthony Van Dyck's Portrait of Marchese Filippo Spinola c.1622–27. A major donation of funds in 1959 by Major Harold de Vahl Rubin enabled the Gallery to purchase works by Pierre-Auguste Renoir, Edgar Degas, Henri de Toulouse-Lautrec and Maurice de Vlaminck, as well as three paintings by Pablo Picasso. His La Belle Hollandaise 1905 was painted in the small provincial town of Schoorl, Holland, and is recognised as an important transitional work for Picasso as he turned from the academicism of his past to the radical stylistic experimentation of his Paris years. Following the Gallery's 1982 move to a new building at South Bank, the collection of modern and contemporary works from Europe and the United States was expanded with the purchase of works by Willem de Kooning, Bridget Riley, Jacques Lipchitz, Joan Miro, Anthony Caro, Chaim Soutine, Leonardo Dudreville, Yves Tanguy, Richard Long and George Baselitz. A group of over 200 Fluxus prints and multiples donated by Francesco Conz in 1995 and 1997. Produced and editioned in the 1980s and 1990s, the majority are by artists associated with the Fluxus movement of the 1960s and 1970s and are an important bridge between the Gallery's pre-1970 and contemporary international art collections. Pointing to a current of modernism that emerged in the early twentieth century with Marcel Duchamp and Dadaism, their irreverent humour and engagement with a semantic dimension continues to inform contemporary artists. 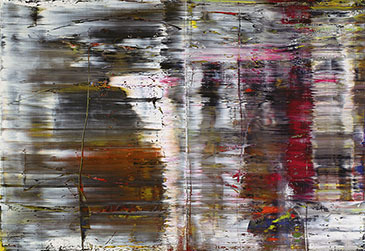 The development of a collection of contemporary international art began in earnest following the opening of the Queensland Art Gallery's permanent building at South Bank in 1982. The collection is comprised predominantly of post-1970 Western European and American art, and early acquisitions included major works by Bridget Riley (England), Mimmo Paladino (Italy), Georg Baselitz (Germany) and Gilbert and George (England). 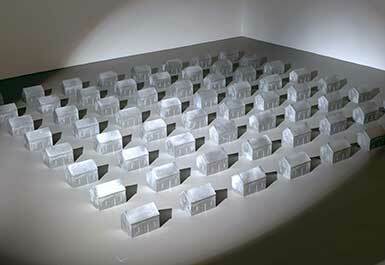 In the lead up to establishment of the Gallery of Modern Art in 2006, the collection benefited from an increasingly active acquisitions program. In addition, the scope of collection has broadened, looking to an expanded international field that also includes the Middle East and Africa, Central and Southern America, and Eastern and Central Europe . The contemporary international collection currently comprises over 800 objects across all media. It has a number of areas of special focus and also acquires works which complement the Gallery's Australian and Asian collections. Works in the Gallery's holdings of international sculpture post 1990 seek to question and redefine the age-old discipline by using unconventional materials or investigating the overlaps between sculpture and other disciplines such as video, performance and painting. Major sculptural works are held by a diverse group of artists including Gabriel Orozco (Mexico), Henrique Oliveria (Brazil), Tomás Saraceno (Argentina), Ron Mueck (England/Australia), Rachel Whiteread (England), Olafur Eliasson (Denmark), Timo Nasseri (Germany), Katharina Grosse (Germany), Richard Long (England), Roman Signer (Switzerland) and Tobias Putrih (Slovenia). The contemporary international collection includes works by pioneering photographers such as William Eggleston (United States) and Bernd and Hilla Becher (Germany), complemented by large-scale photographic works by Thomas Ruff (Germany), Thomas Demand (Germany), Frank Thiel (Germany) and Beat Streuli (Switzerland). The Gallery holds a growing body of single-channel videos dating from the early 1970s as well as major contemporary video installations by artists that include Mika Rottenberg (Argentina), William Kentridge (South Africa), Candice Breitz (South Africa), Aernout Mik (The Netherlands), and Jana Sterbak (Czech Republic/Canada).